Arabian hospitality is world famous and the stuff that legends are made of. The warmth of welcome and generosity that originated from encountering travellers in the desert generations ago, is still part of life today- from the traditional serving of Arabic tea and coffee to an absolute commitment to the highest standards of modern service. 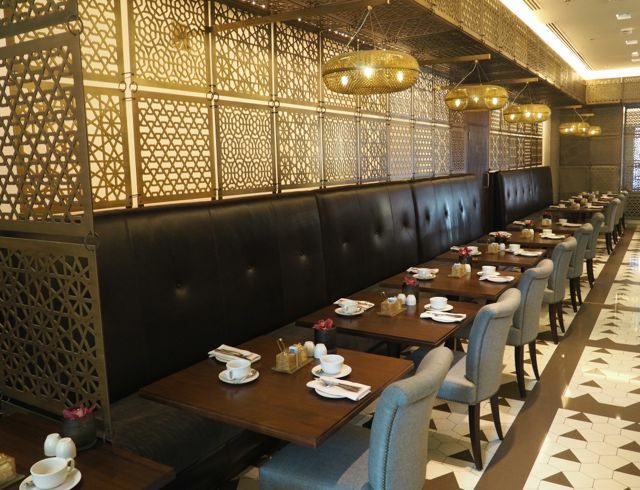 The Manzil Downtown is the perfect example of an upscale boutique hotel that offers guests an authentic experience of Arabic culture, food and hospitality. Situated in the heart of Dubai this hotel has the perfect location whether your are here for business or on vacation. For my first time visiting Dubai I wanted to have a hotel that has a central location, making it easy for me to reach all the attractions and sights the city has to offer. 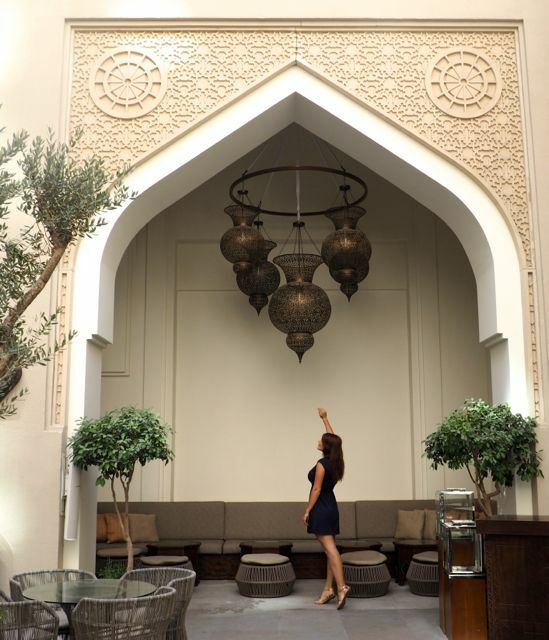 Furthermore I wanted to have a unique experience of the Arabic way of life: All that I found in the Manzil Downtown, which is a luxurious boutique hotel with contemporary Arabesque design managed by Vida Hotels and Resorts. My flight arrived in Dubai early in the morning and I took a taxi from the airport to the hotel. We reached the Manzil Downtown after a short 20 minute journey. 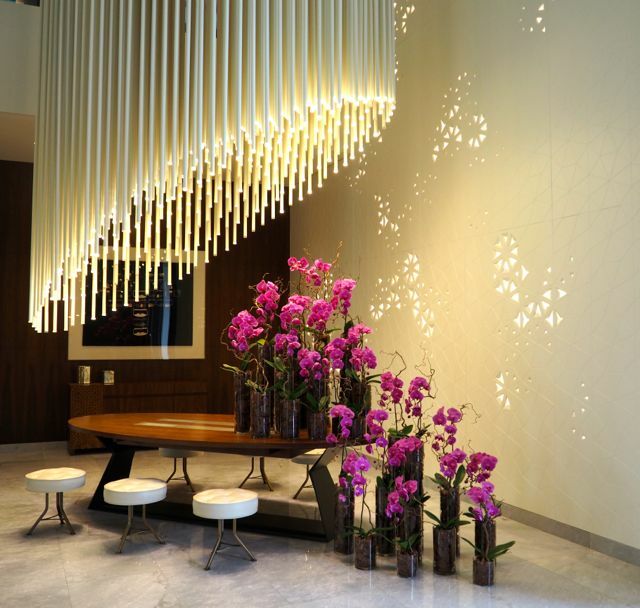 When entering the beautifully designed lobby I was warmly greeted by the staff who offered me a cold towel and a juice to refresh after my long journey. Someone immediately also took care of my luggage after seeing me walk in with my heavy bags. At that early time of the day I did not except to be able to check in straight away, so I was positively surprised that the check-in staff had a room ready for me and invited me to have breakfast in the restaurant. After a long journey and a sleepless night in the aircraft this was exceptional service. I was accompanied up to my room and shown all the features of it and got a short explanation about all the facilities and the services that the hotel offers. My luggage was brought up to the room straight afterwards. The great customer service provided by the staff deserves a special mentioning: Throughout my entire stay everyone literally went the extra mile to fulfill my wishes with a big smile. The concierge was more than happy to help me organize my stay, book me tour tickets and call to take make reservations. I was always warmly welcomed with Arabic tea and fresh dates and nuts after coming back from a long day of sightseeing. Even though the Manzil Downtown has 197 rooms I really enjoyed the fact that the service feels very intimate and personal with all the staff introducing themselves, checking on you and asking about your day. The hotel’s comfortable and spacious rooms are all fashionably decorated and fully furnished with state-of-the-art amenities. All rooms have the same size and furniture, however there are different prize categories based on the view. I was given the Deluxe Burj View room, one of the best rooms available. 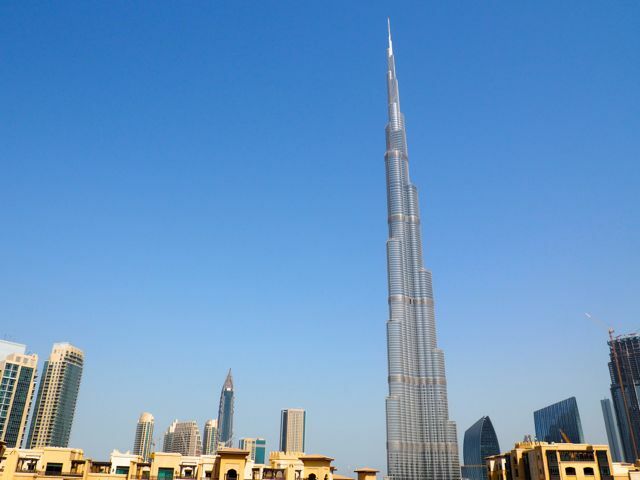 As the name already indicates, the room faces the stunning Burj Khalifa – the world’s highest building. This spectacular view was clearly the most captivating feature of the room and I loved to look outside my window at different times of the day. If you book a room I can highly recommend to upgrade to a Burj View or even splurge on the Burj View Suite. The room was extremely spacious, comfortable and very stylish. The décor of the room, like the rest of the hotel, was modern with an Arabesque touch. There is a large bathroom with a bath tub and a separate shower, toilet and nice smelling bathroom amenities. In front of the large king size bed there is a large flat screen with plenty of channels to choose from. 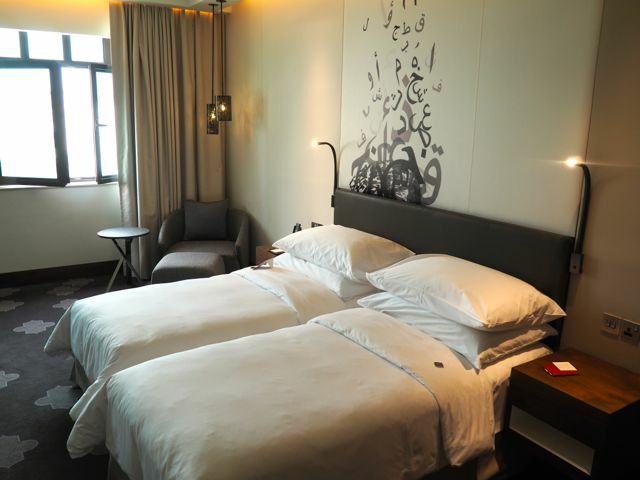 It also includes the media hub where you can get information about the hotel and the city and order room service out of bed selecting from a variety of dishes with your remote control. 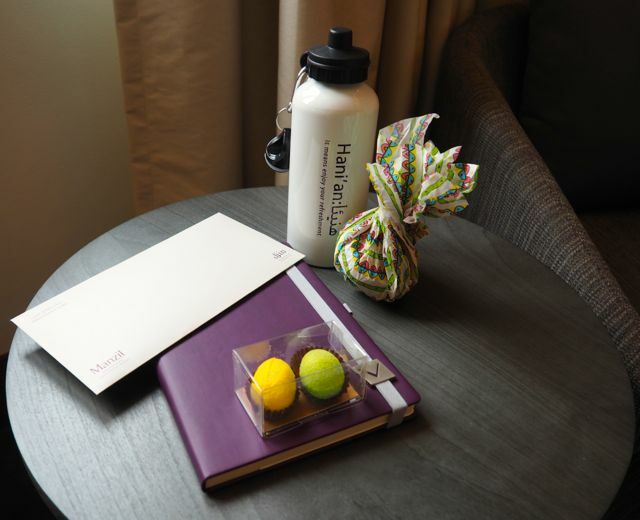 There were a few nice in-room touches worth mentioning- particularly the warm welcome letter and treats, the 24 hour room service, safe, ironing facilities and the tea and coffee making station and complimentary water. The room is replenished twice a day and the turn down service always closes the curtains and puts a little chocolate on the pillow. 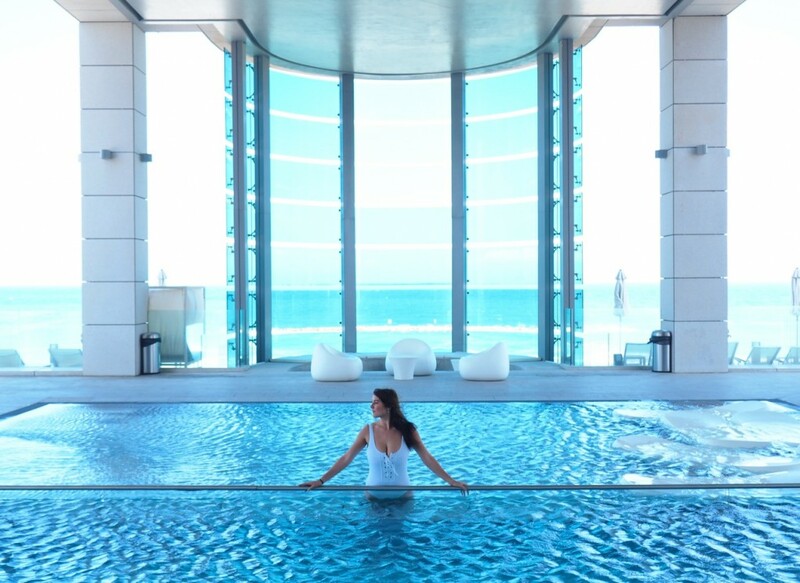 When you are planning your trip to Dubai you have to make the choice whether you want to stay by the beach or in the city center. In my opinion the city center is the better choice since everything is situated there and you don’t have to take the taxi everyday to get into town. 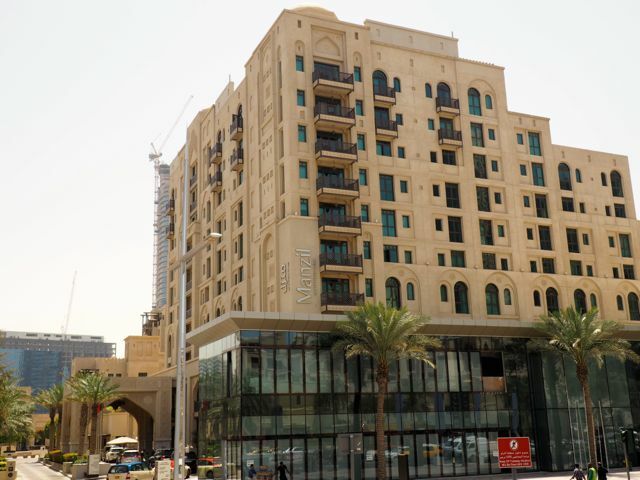 The Manzil Downtown has the perfect location in the heart of Dubai in a modern district that is home to numerous shops, activities and attractions. The main tourist attractions like the Dubai Mall, the Aquarium, the Dubai fountain and the famous Burj Khalifa are in walking distance. 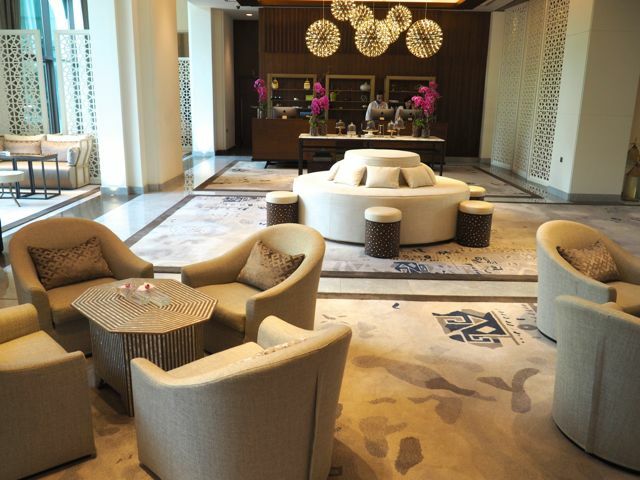 This makes the Manzil Downtown the perfect starting point for a day of sightseeing. I just had to cross the street and walk a couple of minutes to enjoy the fountain show at night and to go to the shops. 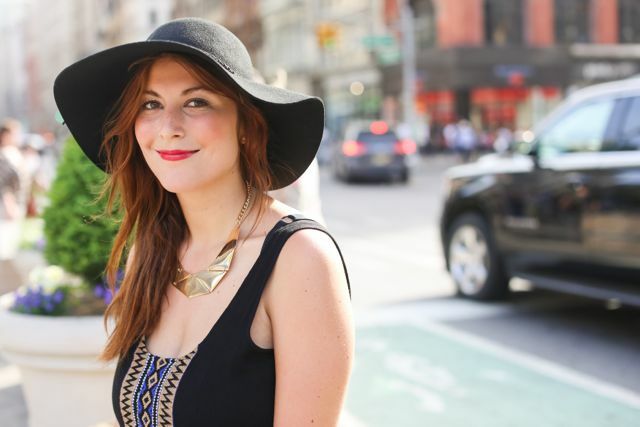 It is also great that you can go back to the hotel easily to drop your shopping bags and change for the evening. The hotel also offers a free shuttle service to several malls, the beach and to key locations on Sheikh Zayed Road. 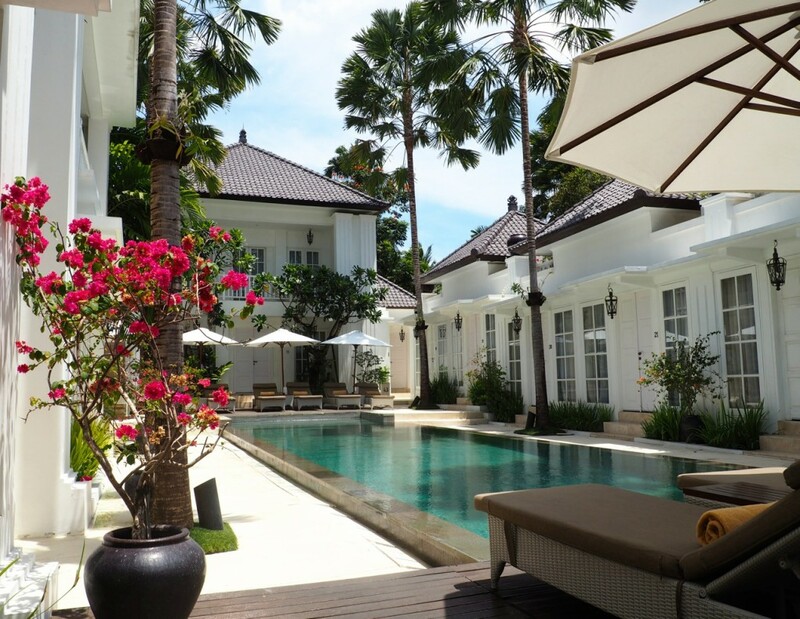 One of the highlights of this luxurious property is the open air pool making it possible to get some sun while relaxing on the comfortable beach chairs or to do some laps in the water. 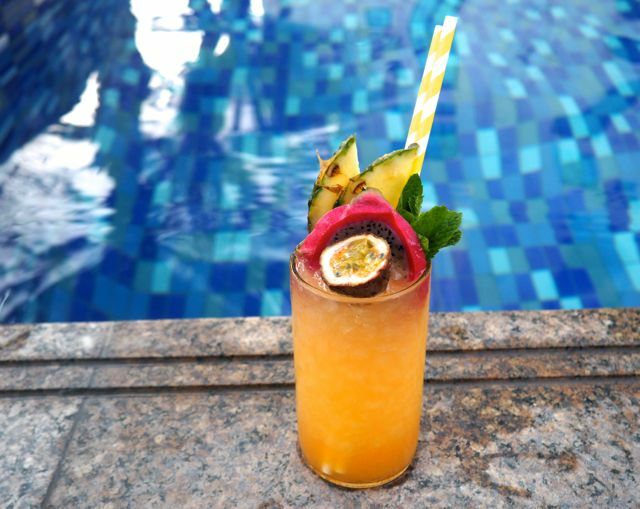 There is also a pool bar where you can order delicious cocktails and snacks. The pool area is open from 7 am to 7 pm and is surveilled by a life guard. The hotel offers its guests a 24 hour gym, international restaurants to enjoy, a Tawasal Desk: work desks with computers and printers and free shuttle service. During your stay you can choose between three restaurants. On my first evening I decided to have a meal in The Courtyard which is located outdoor in the centre of the hotel. 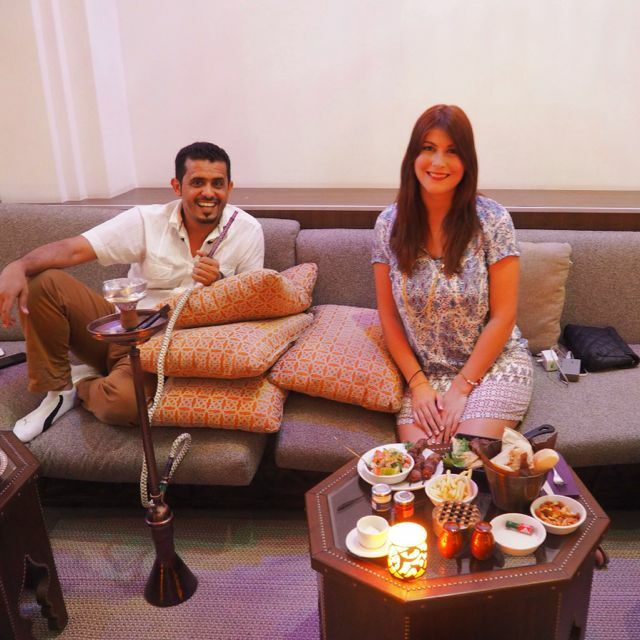 It is one of the most popular Mediterranean restaurants and shisha lounges in Dubai and is a favorite not only among hotel guests but also among locals. It has a very laid-back atmosphere and is a unique experience with the music and the belly dancers. I enjoyed a great meal with grilled lamb skewers and some Arabic side dishes as well as a nice glass of wine while chatting to some locals next to me who came here to have tea and smoke shisha. If you want to watch your favorite sports game you should check out the Nezesaussi, short for New Zealand, South Africa and Australia. It is the ultimate sports hub with good food from the tri-nation countries. The signature restaurant of the hotel is the Boulevard Kitchen. 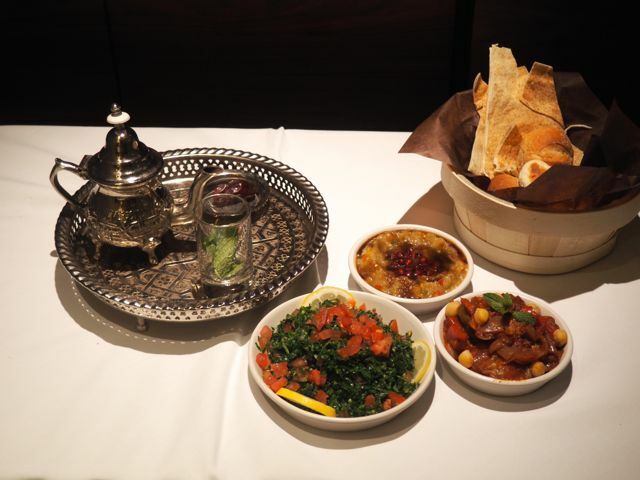 Here you can enjoy food from the greater Middle East region, with a focus on Levantine cuisine. Set over two floors in an Arabesque environment guests can order a la carte for lunch and dinner. Also a sumptuous breakfast buffet is served here and I am happy to say that it is one of the best I have tried. The spread is absolutely generous and it has many international favorites as well as Arabic food to try. 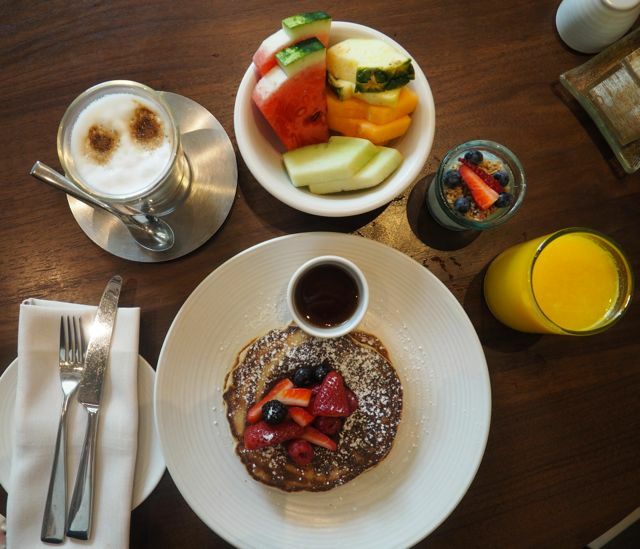 There are a lot of healthy options, fresh fruit, juices and yogurts, pastries and a breakfast menu to order from. One morning I had the eggs benedict with halloumi cheese and another time I tried the pancakes with fresh berries- both incredibly delicious. There is also a 24 hour room service available which has some great options if you don’t feel like eating out. 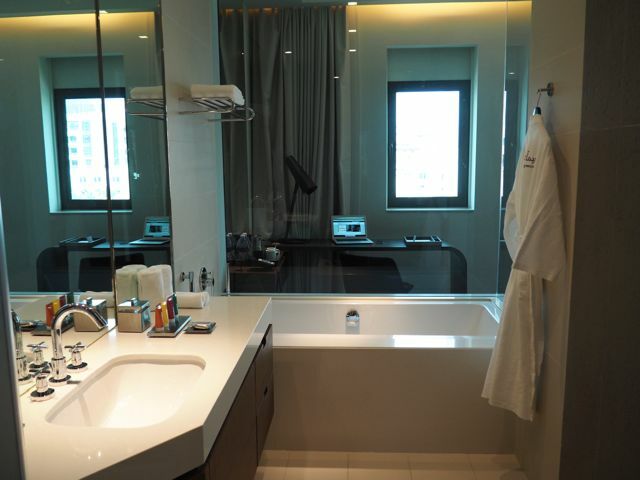 I truly enjoyed my stay at the Manzil Downtown. 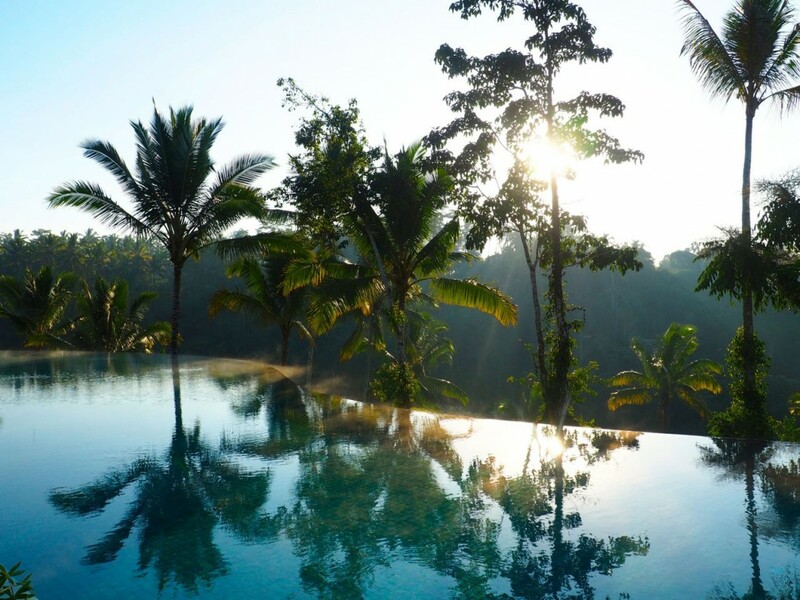 The service was among the best I have ever experienced and the location is great whether you are coming for a vacation or business. 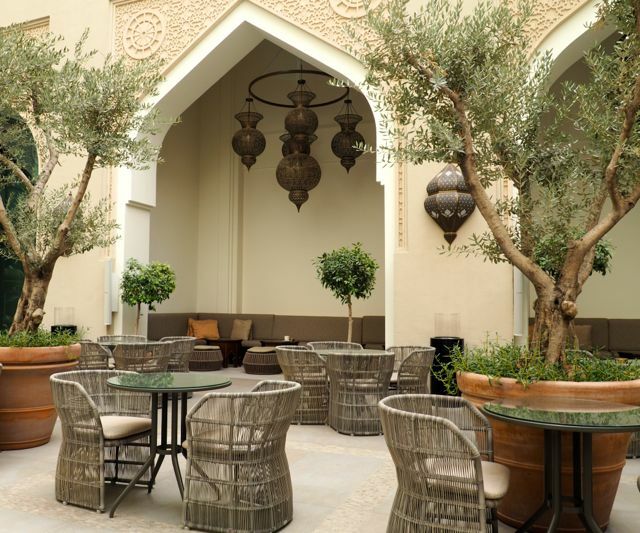 If you aren’t a guest of the hotel I would still recommend you to drop by in the evening to enjoy a meal and a shisha in the courtyard of the hotel. Traveler’s Little Treasures was a guest of the Manzil Downtown, however my opinion is as always my own.